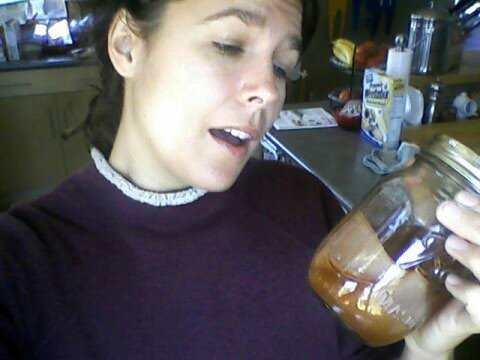 That’s right, I’m gettin’ my booch on with Kombucha — or, as they say in Russia, Tea Kvass. There are actually hundreds of names for this beverage, produced and sipped on for centuries across the belly of Eurasia. If you can get over the filmy, skin-like paddy floating on your tea and into the flavor of sparkling, sour-sweetness — well then, you’ve made a new best friend. Kombucha has kept people healthy and strong for some time. It provides needed enzymes for the body, boosts the immune system, aids the digestive system, and its glucoronic acid binds with heavy metels and toxins and kicks them out of your body through the excretory system. Basically, it is the elixir for life. So, until we can stop polluting our very home here on Earth, I would suggest you take me up on this — start making Kombucha (and, while drinking Kombucha, I like to think of ways to be less toxic in my daily life). And, here’s a great recipe for a kombucha vinaigrette (get fancy with it, folks!). I learned about Kombucha in 2005, roughly. 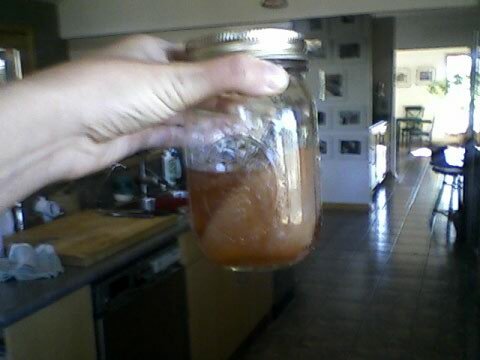 I learned about Kombucha while participating in a work-study at the Green Gulch Zen Center in Marin County, CA. I was taking a break from graduate school and reassessing some things in my life. I remember sitting by this guy who was working on the farm there and he asked me if I would like some Kombucha. I said sure and he poured me a glass. The tart-sweetness tasted unique, but I instantly fell in love with it. The years after that, I bought the elixir in the stores. My favorite brands were High Country Kombucha and this other brand that is probably only sold in CA (can’t remember the name right now). I don’t like GT’s, it’s a bit sour for me and I get a strange feeling about how massively it is being marketed (the quality has gone down). It wasn’t until 2007 that Kombucha so proudly re-entered my home life. My roommate, Anna, began making batches at home and she would share with me. I watched her and remembered what to do. 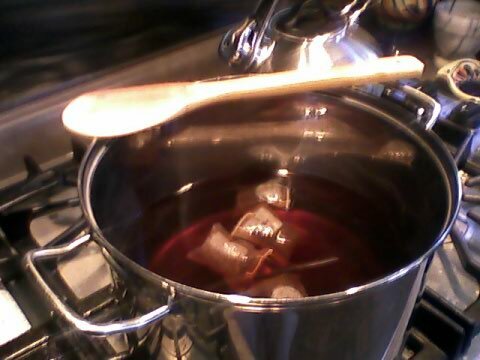 When I moved back to the Southeast, one of my priorities was to begin making regular batches of Kombucha. So, I sent out an alert on Facebook that I needed a ‘Kombucha baby’ — the culture needed to make the Kombucha ferment — and my friend Susan responded. She sent me a baby in glass, mason jar (only use glass when fermenting or storing Kombucha) from Charlottesville, VA. Thanks, deary! And, here I am admiring the Kombucha culture… Like the proper Juliette, I was trying to conjure the kind of look she would have made to her Romeo. I think I’m *almost* there. Since receiving the Kombucha culture, I’ve made three batches. I’ll go through a gallon in a week or a week and a half. I tell ya — it’s the original soda pop. And, this is perfect for Southerners — you basically make a big batch of sweet tea and then add the culture — the antidote to sweet tea and diabetes! Isn’t that perfect!? The Kombucha culture LOVES white sugar especially. So, if I could get everyone in the South to start drinking Kombucha, then all that white sugar that is polluting our bodies would be turned into gold, to rid our bodies of toxins — talk about alchemy! To prepare, bring 4 quarts filtered water to boil. Add sugar and salt and simmer until dissolved. Off heat, add the tea and allow to steep until water is completely cooled (you can do 2 quarts water and steep tea for less time, adding the colder 2 quarts water later — helps cool water down faster than waiting for it to cool from a boil). Remove tea. Pour cooled liquid into a 1 gallon GLASS jar (available at kitchen supply and container stores) and add 1/2 cup kombucha from previous batch. Place mushroom on top of liquid, cover loosely with a cloth or towel and transfer to a warm, dark place. In 8 to 14 days the kombucha will be ready, depending on the temperature (cold temperatures, longer fermentation time). It should be fizzy and sour, with no taste of caffeine in the tea remaining. Transfer to covered glass jugs and store in the refrigerator (I like to use used screw-top wine bottles or quart jars). Always wash your one-gallon kombucha jars with mild soap — not in the dishwasher! When the kombucha is ready, your mushroom will have grown a second spongy pancake. This can be used to make other batches or given away to friends (or composted). You MUST peel off the TOP layer of the mushroom (that is the oldest layer) when it starts turning splotchy dark brown. Keep the lower layers for your next batch. Store fresh mushrooms in the refrigerator in a glass or stainless steel container — never plastic. 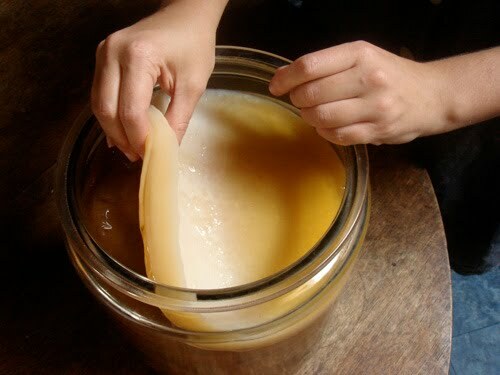 A kombucha mushroom can be used dozens of times. If it begins to turn black, or if the resulting kombucha doesn’t taste good, it’s time to throw the culture away. This has not happened to me yet, because I make sure to peel back the top layer when necessary (usually every few months). NOTE: If you can’t access a kombucha culture, you can buy kombucha from the store (normally, health food store) and simply add that to your cooled tea, sugar, and salt mixture. Of course, you will have to wait a bit longer for the culture to form at the top — maybe 2-3 weeks. However, once you have about a 1/8 inch paddy, you’re set for your next batch! >That doesn't happen with mine…the fuzzy stuff. However, I do get another mini-scoby and that's all good. Half the time I just swallow them. You can toss them into your compost too, the rotting earth-food mound just loves it. The additional scoby is indeed what brings on the 2nd fermentation and additional fizz… So, it depends on how you like your kombucha to taste. Love your blog! I drink a gallon of this stuff every couple of days. Really wana start making my own. Once you get in the rhythm, it becomes second nature — like brushing your teeth! You can start a batch by saving some of the store-bought booch or by finding a ‘kombucha baby’ starter culture from a friend.